Hey guys I thought I would clue you in on some news! First things first, most of you guys know that so far I have been running Pangea Speed at night while I worked as a model maker during the day. Well, Pangea Speed is now in full affect! I am going to be focusing all my time on Pangea Speed now! With that being said, lately I have had to turn down some really cool custom fabrication work due to the fact that I just didn't have enough time in the day to do it all. I will be taking on custom fabrication clients again. Bars, oil tanks, gas tanks, control sets, if you have a project that you would like to have me work on feel free to send me an email and we will go from there. 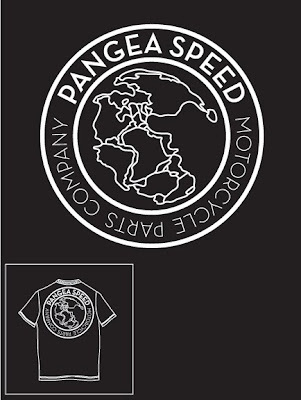 Second, tomorrow I will be picking up the new Pangea Speed t-shirts! They look great and I think you guys are going to dig the new art work! I will get some photos up tomorrow when I have them in hand. Third, I have been working away diligently on the new peg and kicker pedals! I have switched gears on the casting process. Now they will be investment cast vs sand cast. That means way better surface finish and better tolerances. 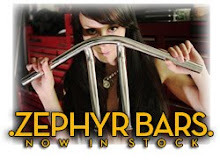 I know they are taking a minute to get but trust me these parts are going to be rad!